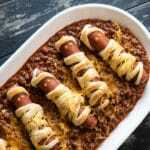 When Halloween rolls around our popular mummy hot dogs recipe has always been a fun hit with kids. 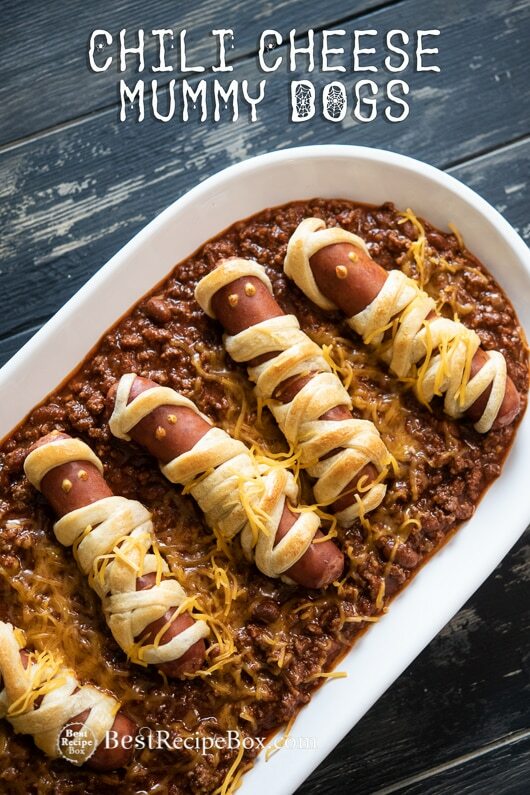 This year, we’re making chili cheese mummy dogs to take it up a notch! The process of making these chili cheese mummy dogs is super simple. What’s even easier and more fun is to devour them during a Halloween party! Kids and adults will love these because they’re the perfect bite or appetizer. Anyone who love chili cheese and hot dogs will obsess over these adorable little mummy dogs. 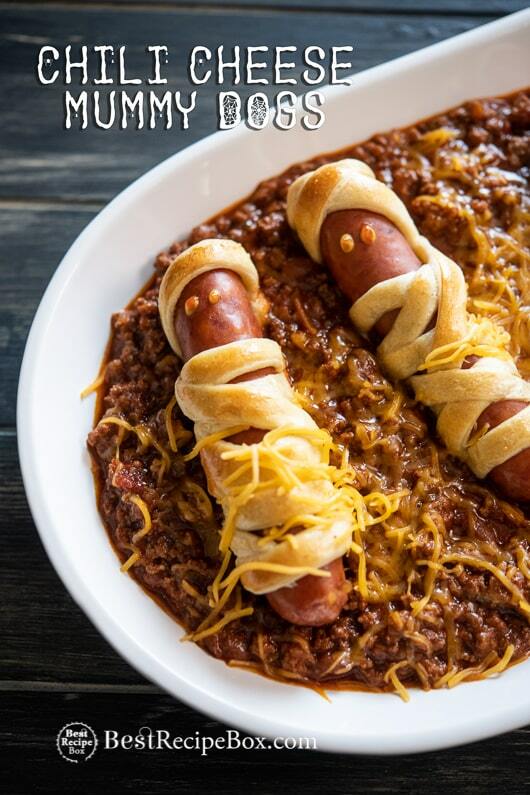 It all started with our regular Halloween mummy dogs and then we were craving chili AND cheese. So voila! A “grave yard” of mummy dogs. 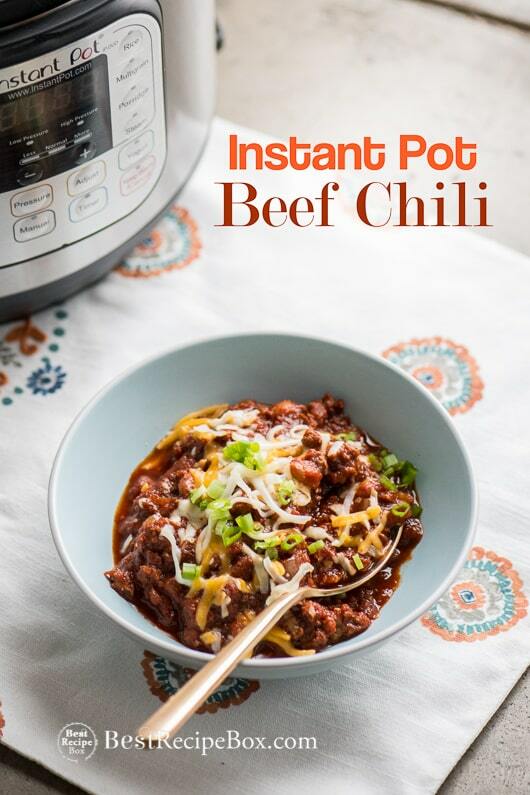 The bed of chili is like the “grave yard” and just bury the cooked chili cheese mummy dogs in the chili and you have a huge platter of delicious fun. Hope you enjoy these mummy dogs and enjoy a safe and fun Halloween! 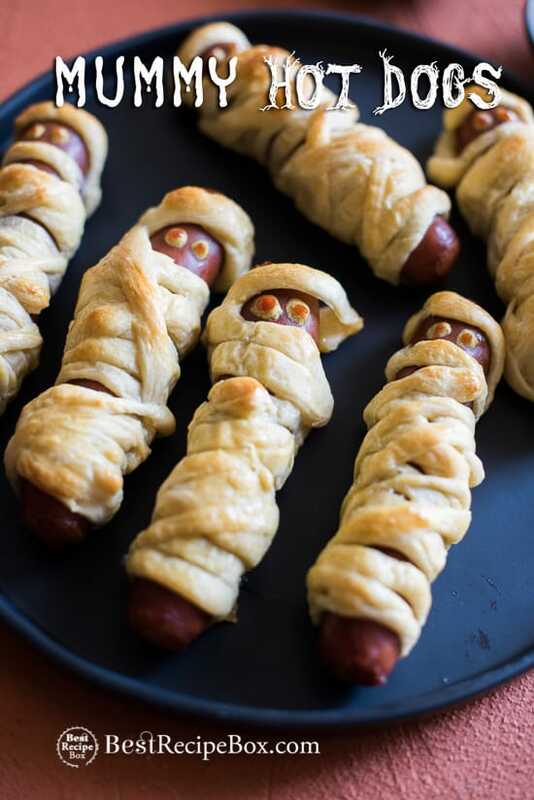 Here’s our original—> Halloween Mummy Dogs Recipe! The mummy "bandages" are easier to cut from crescent dough sheets, not the classic triangles. If you can't find the sheets, or just have the regular crescents, it will still work fine. Just cut the triangles into as long of strips as you can and piece the mummy together. Our favorite way to make the mummies is with the cheese filled hot dogs or sausages, like Johnsonville's Beddar with Cheddar brats. It is all up to you and your favorites. Pre-heat the oven to 375°F (190°C). Line a baking sheet pan with parchment paper. Unroll the crescent dough. Cut into 3/8"-1/2" wide strips. Pat the hot dogs dry (helps keep the dough from slipping around while rolling). Wrap a couple pieces of dough around each hot dog to look like bandages. Criss-cross them occasionally and make sure to leave a separation of the bandages on one end for the face. Stretch the dough if needed. Place face-side up on the lined sheet pan. Repeat for the remaining dough and hot dogs. Whisk together the egg and water. Brush with bandages with the egg wash.
Bake for about 15 minutes or until the dough is golden. Dot the face with mustard and ketchup (or hot sauce) for the eyes and any other desired facial features. 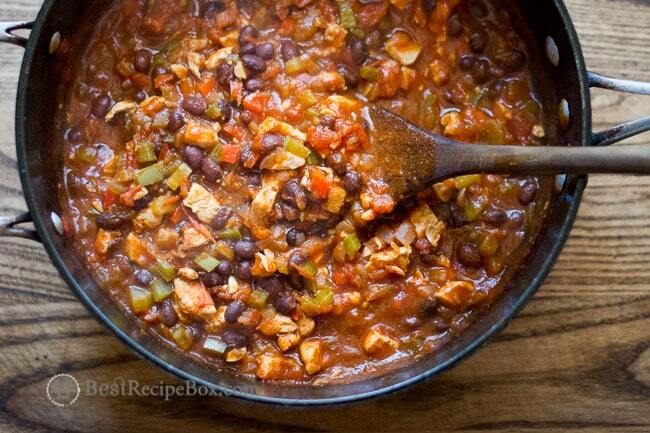 Heat the chili then pour into a large serving dish to be the “grave yard”. 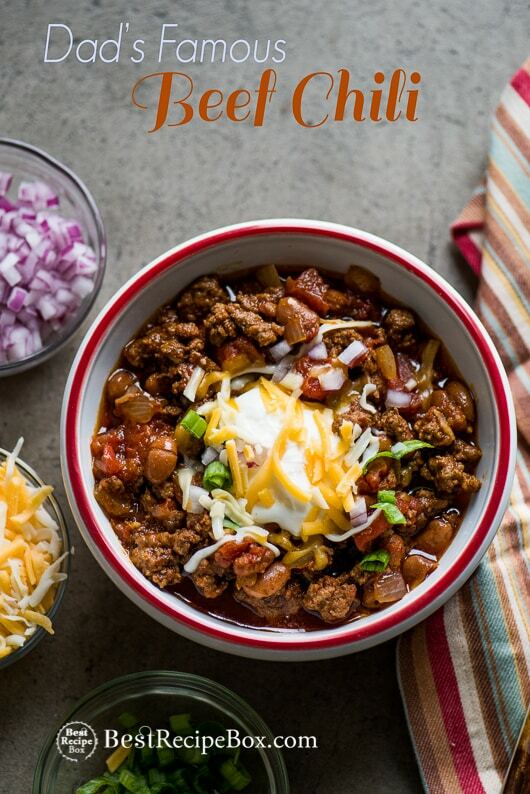 Place mummy dogs in the chili. Sprinkle cheese on top and serve warm!